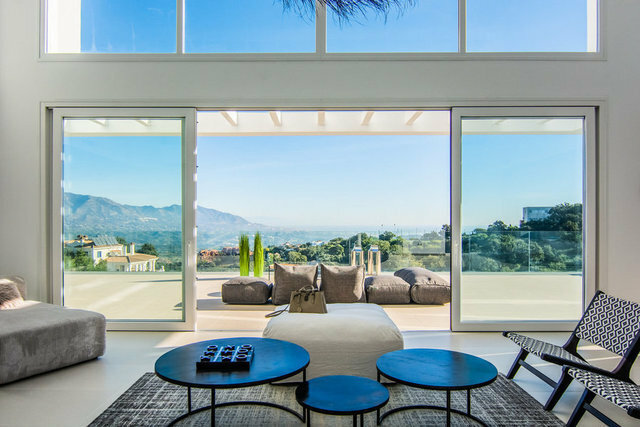 This spectacular recently finished villa has fabulous views of Mediterranean Sea and Mountains. It is constructed with high quality materials and technology in a contemporary style with large panoramic windows. The property will count with large light-flooded spaces. The living area is distributed over 2 floors. Excellent qualities and technical equipment: tile floors, exterior terraces with glass railings, under floor heating, reversible air conditioning, double glazing, pre-installed video surveillance, large parking for five cars.